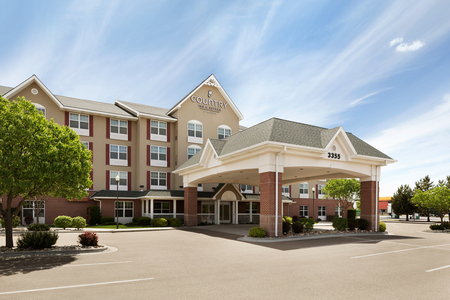 Located near downtown and I-84, the Country Inn & Suites® by Radisson, Boise West, ID is the ideal place to stay in Meridian to escape the high prices and pressure of the city. 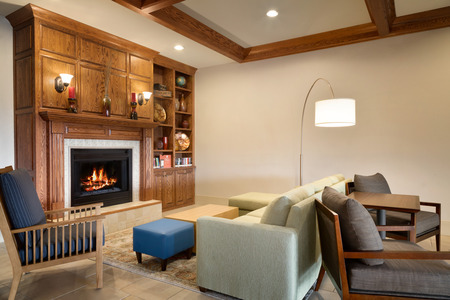 Our conveniently located hotel is within 10 miles of Boise Airport (BOI) and Boise State University, and only a 20-minute drive from the slopes of Bogus Basin mountain. Come in off the road and enjoy fresh coffee and cookies on us. Traveling with kids? 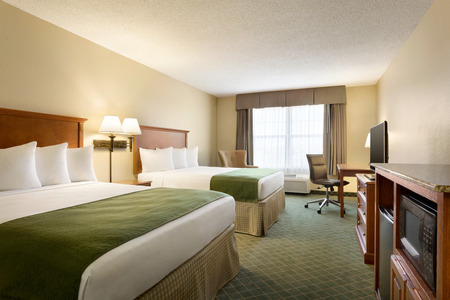 Check out our One-bedroom Suite for a more spacious option. The suite offers added privacy with a separate bedroom and a queen sleeper sofa in the living room. 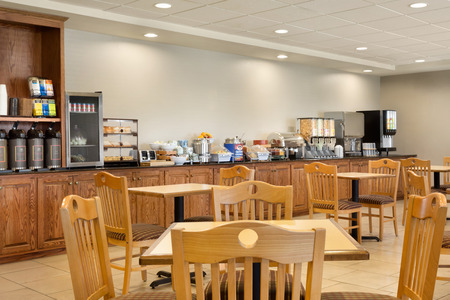 Start your morning off right with our free, hot breakfast. Help yourself to items like eggs, potatoes, bacon, fruit, French toast, a variety of cereals and more. For lunch or dinner be sure to check out one of the many nearby restaurants. Enjoy unique Spanish/Basque cuisine at Epi’s, or grab a juicy burger from Jakers Bar and Grill. Bogus Basin – Ski, snowboard, tube or sit back and watch the action from the deck at Pioneer Lodge. This world-class ski area boasts seven chairlifts and terrain suited for everyone, from beginners to veteran riders. Boise Art Museum – View breathtaking pieces on permanent display from artists such as Edgar Degas, Georgia O’Keeffe and Auguste Rodin. Take advantage of outdoor sightseeing from the museum’s location along the Boise River in Julia Davis Park. Meridian Speedway – Check out the dirt and asphalt tracks of this local NASCAR drag racing stadium. Old-school enthusiasts appreciate the racetrack, which has been managed by the Nelson family for three generations. Reserve our breakfast area and private function space for groups of up to 50 guests. Allow our friendly staff to provide catering recommendations and to assist with the behind-the-scenes organization of your event.